BDQ have specialised since 2002 in developing pragmatic tools that help identify, track and manage data defects. One of our prospective customers manages a large amount of data and also uses JIRA to manage defects. They want to have a single system to manage issues, but data problems tended to sit outside of this, and they happen in an event driven fashion. 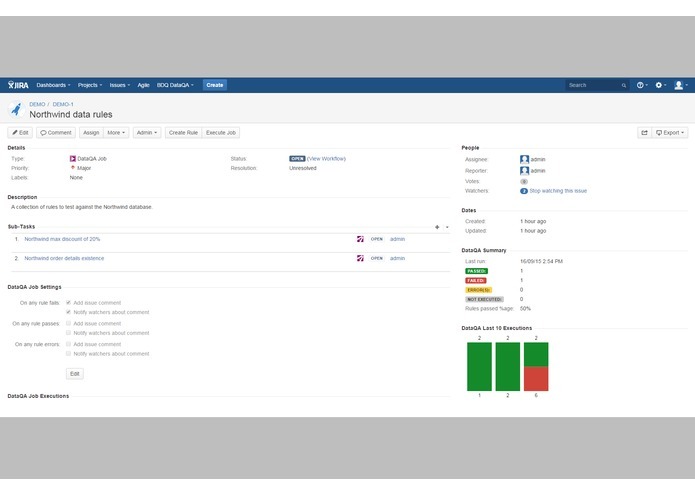 We identified a need to integrate our data rule technology with JIRA to give a unified issue management workflow, where data issues would sit alongside all other IT issues, reducing complexity. 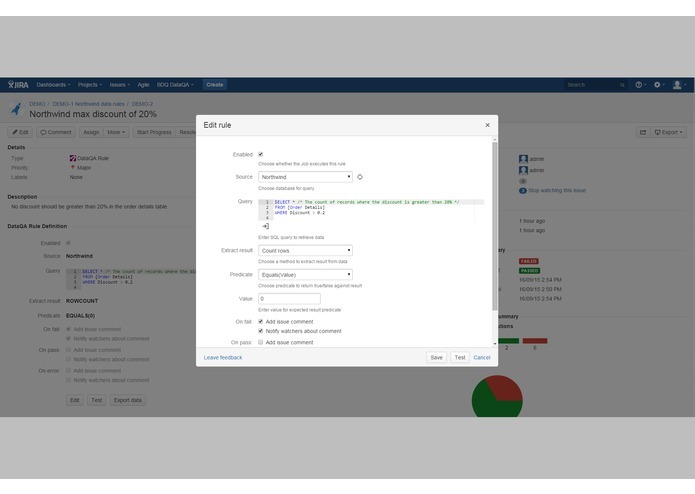 JIRA itself can now monitor data and alert users to potential problems. 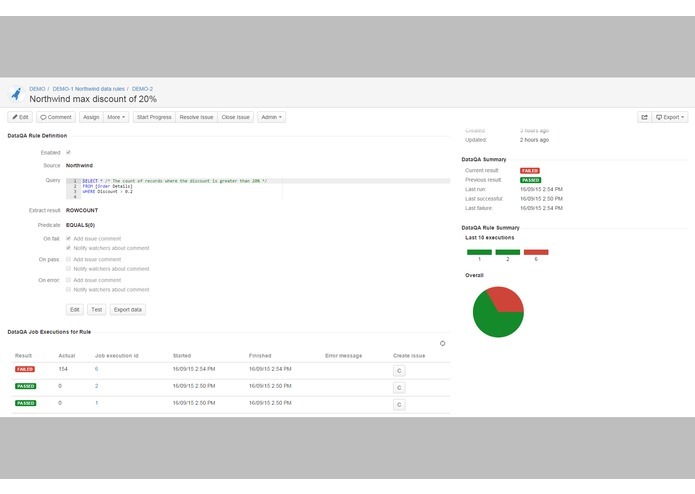 DataQA for JIRA enables you to manage data defects in JIRA. Data problems can now easily exist alongside all other IT issues, helping you manage detail and see the big picture. 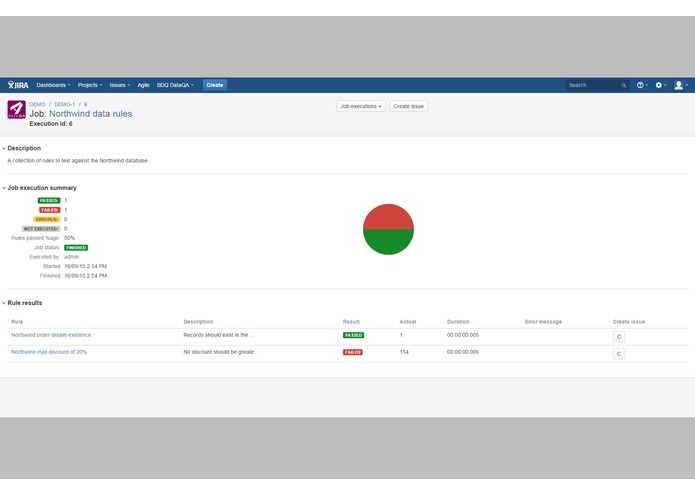 DataQA is fully integrated with JIRA, and users can discover, assign and track data issues from within the platform. It's quick, efficient, and effective, saving your team hours and the dollars that go with them. 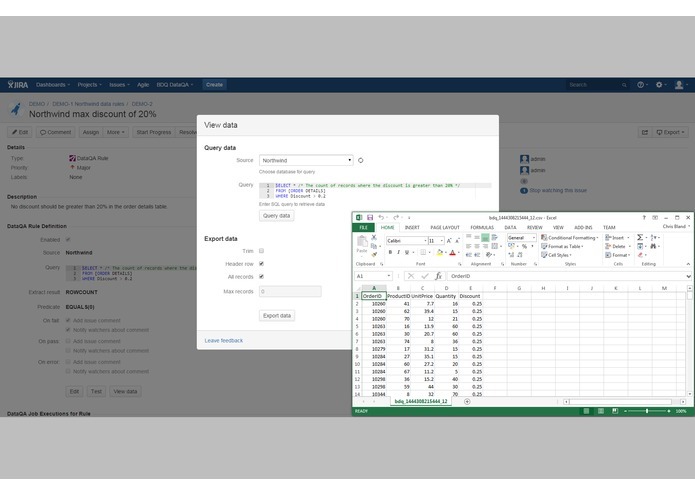 DataQA extends JIRA with SQL based data rules. When those rules fail, DataQA automatically alerts users, making problems instantly visible. So your users spend less time looking for problems, and more time fixing them. With DataQA, you see data problems right from within JIRA, without the need for external query tools. 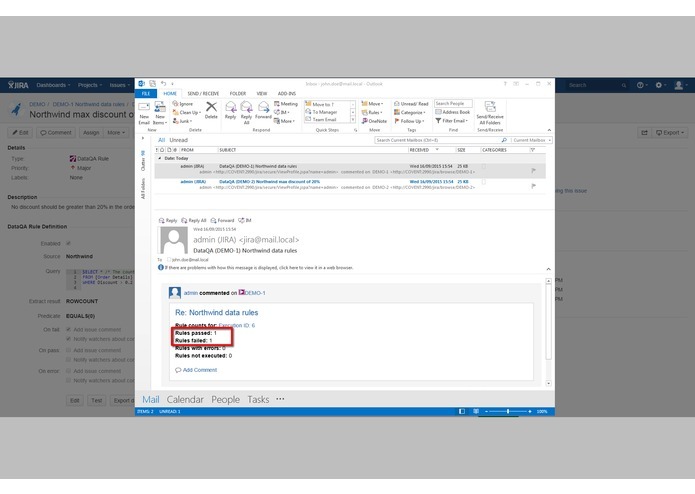 Users can save records to a CSV file to view in Excel, or even attach them to an issue within JIRA. Finding and tracking data defects becomes automatic, ensuring that data meets your requirements, and gives you visibility and control. With DataQA, you just set up SQL based data rules from within JIRA. Then, when a problem occurs, you get sent an alert, and you can even drill down to the problem records. It is ideal for checking line of business systems, data feeds, warehouses, and supporting data migrations, and has the JIRA look and feel which yours users are already familiar with. Get control over data defects, all from within JIRA. Porting parts of our existing technology and integrating them within JIRA. Being accepted into the Atlassian Marketplace with no changes required to a complex add-on. The Atlassian SDK and how to integrate UI concepts seamlessly into JIRA. We have a number of different features that are currently on our roadmap (for example automatic scheduling of job executions and supporting JIRA Data Center) but will be led by customer feedback. 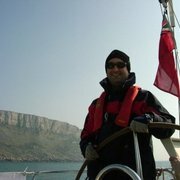 I was part of the team that designed and developed the DataQA for JIRA plugin.